Joe spotted this catastrophe at a Days Inn in Prince Albert, Saskatchewan. I think it's safe to assume that more than one employee works at the hotel. Today is National Punctuation Day! What are you doing to celebrate? 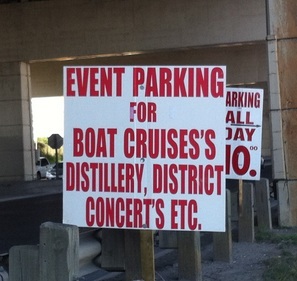 Today's unusual catastrophe comes from Canada, where apparently National Punctuation Day does not apply. Thanks to Kevin for sending this one! 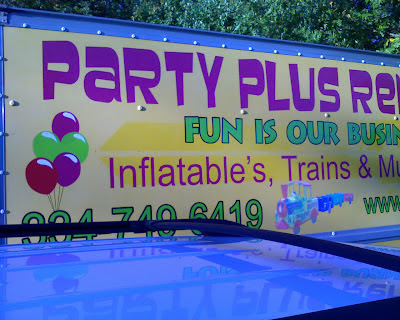 I don't think I've ever seen an apostrophe and an s added to a word that is already plural. I guess they have a plethora of boat cruises at this place. As an institution of higher learning, a college should have a special obligation to demonstrate proper punctuation in its materials. 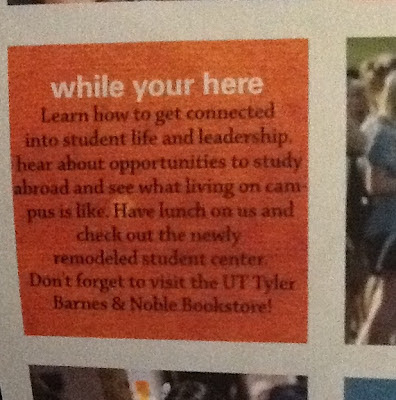 University of Texas at Tyler has failed in this regard, at least on this particular flyer. I would hope the English Department knows its grammar a bit better than the Admissions Office does. Thanks to Ricky for sending in this catastrophe! 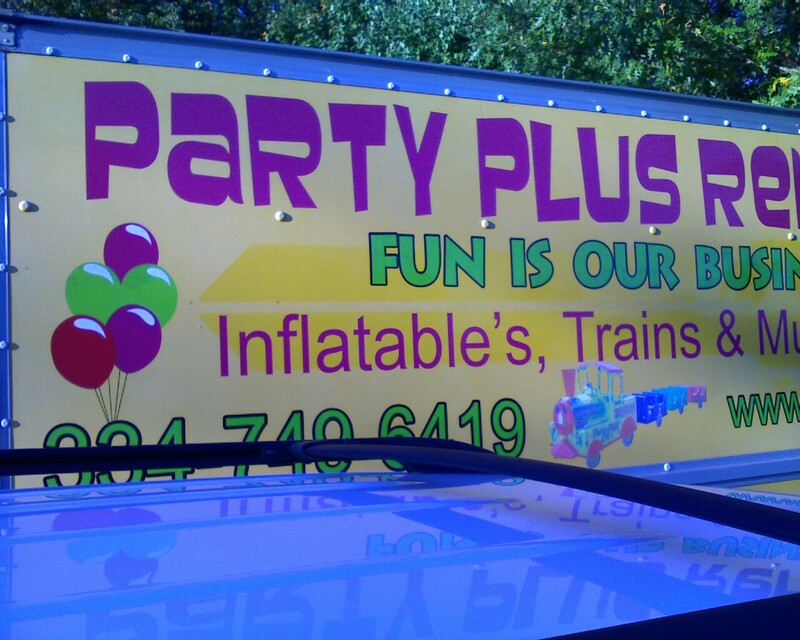 Fun is this company's business, but apparently punctuation is not. Thanks to Bill for sending me this catastrophe from Alabama. Emily was dismayed when she discovered this triple apostrophe catastrophe on a shop window in a London mall. Athletes and Olympic fans from all over the world may have seen this sign, which is a bad way to represent England. To quote a former U.S. president who is making a big speech tonight, I feel your pain, Emily. But thanks for sharing the catastrophe with us. 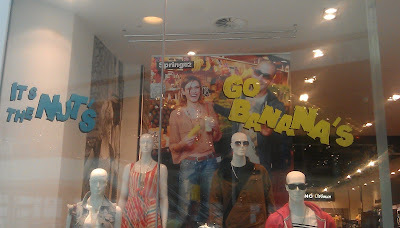 Charles in Denver sent in this apostrophe catastrophe from a market that has special hours on Sundays. 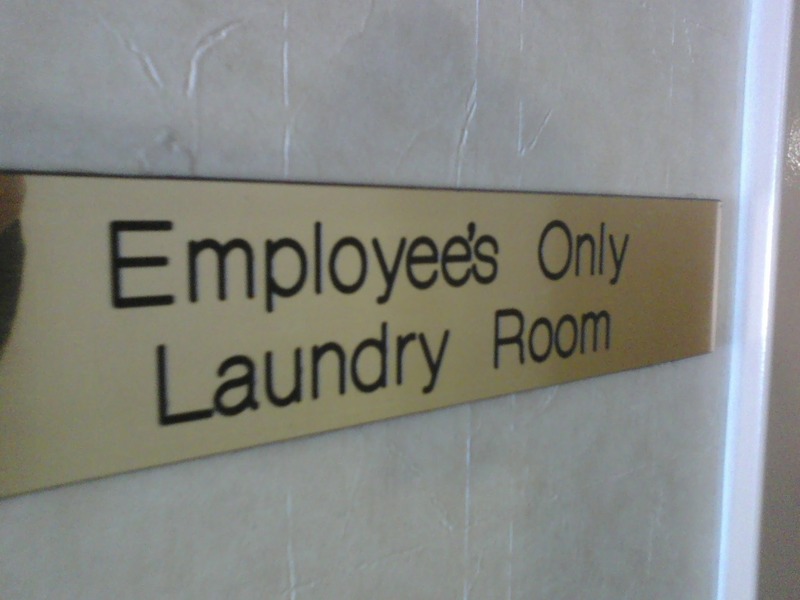 Two out of three apostrophes on this sign are correct at least. Incidentally, instead of using an apostrophe in 'til, you can just write till. It's a word. Really!